How do you dress up a plain spaghetti strap dress? 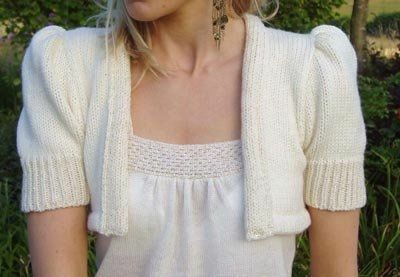 Try a bolero jacket? I didnt like showing my arms so I used a bolero jacket for prom over top of a spaghetti strap dress..
What if you added a sash the color of your BM dresses or another color from your wedding? You could do a wide sash around the waist with a large brooch in the center. Or even just evened out the simplicity of the dress with big jewelry? Beautiful!! Jewelry anywhere you can..hair included! There are other gorgeous brooches at www.forprincessbride.com. Also, I agree with hidi d.: Jewelry enywhere. Emphasize earrings and necklace. Something like this: http://forprincessbride.com/store/product286.html or around that style would look great! I absolutely love forprincessbride! I probably won't wear a veil, but I was thinking of one of their many amazing rhinestone headbands. I was also thinking of an obi sash and/or a bolero. This jacket from David's (not my favorite, but I'll buy one little accessory from them) would be great at the reception, I think. http://www.davidsbridal.com/webapp/wcs/stores/servlet/ProductDisplayView?langId=-1&catalogId=10051&storeId=10052&catentryId=6144289 Also, I was thinking of having a shorter necklace for the ceremony (y'know, with the jacket), and then a big showpiece for the reception. Probably only one of those ideas will be plenty! Irina, I absolutely love your jewelry. I probably won't wear a veil, but I was thinking of one of your many amazing rhinestone headbands. Dear Summer B.: thank you for your kind words! We try to get the best of the best for the brides, and at affordable prices. We also include a beautiful surprise gift with every order. I think it's a great idea to change jewelry as you change your outfit for the reception. And again, I have to tell you your jacket just blew me away! Enjoy your wedding!